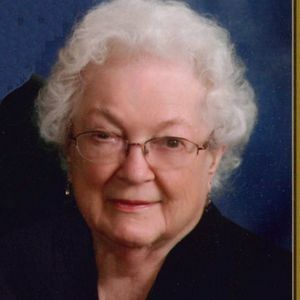 95 of Indianapolis, died March 31, 2019. She was born in Indianapolis on April 10, 1923, the daughter of Luther and Lela Poland. Frances married Venis Lewis on February 21, 1945 in Indianapolis, Indiana. They were married nearly 69 years. Venis preceded in death on January 13, 2014. They enjoyed life in Florida for many years and was an avid reader. She enjoyed sewing and crocheting. And, she loved taking care of her family. She was a member of New Bethel Baptist Church for sixty years. Frances is survived by her daughters, Beverly Bush (husband Jim), and Pamela Lewis; sister-in-law, Mary Weatherman; brother-in-law, Robert Lewis and many nieces and nephews. Service will be 1:00 PM Friday, April 5, 2019 at Wilson St. Pierre Funeral Service & Crematory Franklin Township Chapel, 5950 E. Thompson Road, Indianapolis with visitation from 11:00 AM to service time. She will be laid to rest in Orchard Hill Cemetery. In lieu of flowers, donations may be made to God's Bounty Food Pantry in Wanamaker, Indiana.